Call or email to learn the benefits of having Carla Kienast help you address your corporate communications needs. Effective communication with company stakeholders has never been more important than it is now in the 21st century. Today’s companies face a multitude of complexities and challenges. These challenges require the execution of strategic communications that can build and retain value, enhance loyalty in employees and customers, and increase marketplace presence. 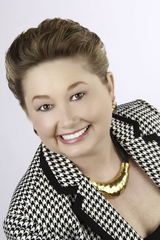 Companies like yours need the broad range of communications experience and leadership provided by Carla Kienast. Whether a large or small company, whether publicly traded or privately held, your company can depend on Carla Kienast to develop and execute a corporate communications plan to help you meet your goals.